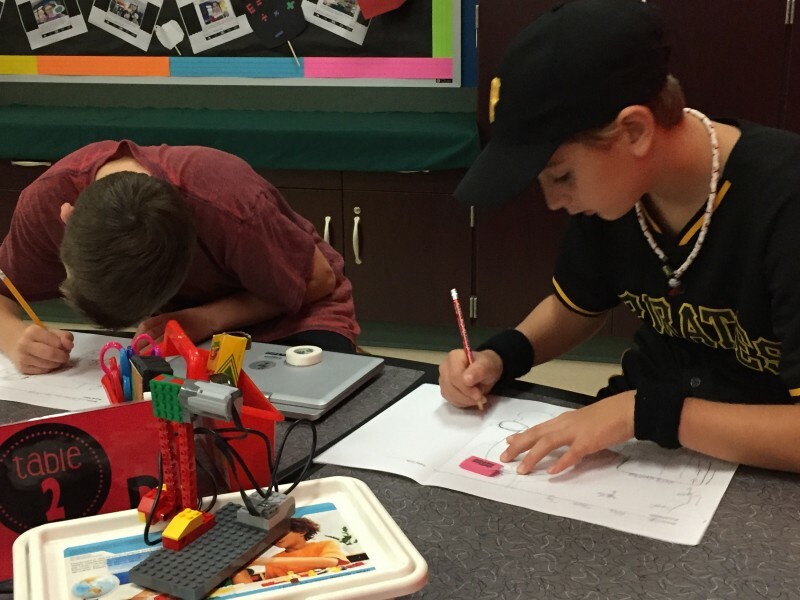 SOUTH FAYETTE, PA. — Diagrams of simple machines — a pulley, an inclined plane, a lever — appeared on the massive whiteboard of a school STEAM lab (STEM subjects plus Art) in South Fayette, a fast-growing suburb of Pittsburgh. Two dozen fifth graders, split into teams of four, busily sketched designs for “Rube Goldberg machines” that would turn on and off lights or feed the lab’s pet fish. No single child designed a complete machine. Instead, each team member spent a few minutes sketching out how one part — a marble run, say, or a Lego Robotics kicking foot — would operate within the machine. Then they switched papers and the next person added onto the design with another part. Computational thinking is intimately related to computer coding, which every kid in South Fayette starts learning in first grade. But they are not one and the same. At its core, computational thinking means breaking complex challenges into smaller questions that can be solved with a computer’s number crunching, data compiling and sorting capabilities. Proponents say it’s a problem-solving approach that works in any field, noting that computer modeling, big data and simulations are used in everything from textual analysis to medical research and environmental protection. In the last few years, many schools and enterprising teachers have tried to infuse coding and computational thinking into a wide range of classes, including arts and humanities courses. 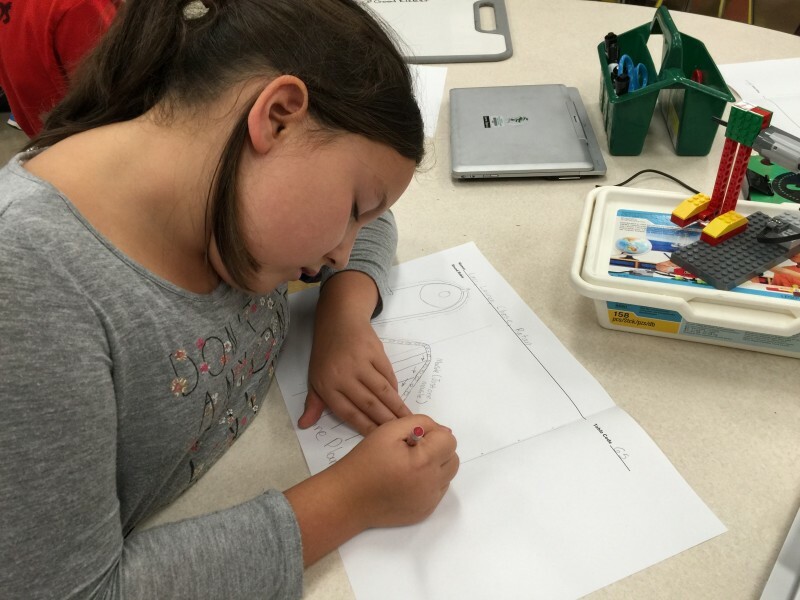 What makes South Fayette unique is that computational thinking is now at the heart of everything they do — from students’ first day of kindergarten until they graduate from high school. Could it be a model for taking ed-tech full throttle? South Fayette’s four schools all sit on a single campus overlooking a rolling green expanse of farmland that will soon be gobbled up by housing developments. The population in this region around Pittsburgh is surging, thanks to a thriving medical and technology economy and a natural gas-fracking boom. South Fayette’s high-performing schools make it attractive for newcomers with kids, and it’s among the fastest-growing districts in Pennsylvania. The South Fayette school district’s transformation began on a rainy October afternoon in 2010 when Aileen Owens, the district’s newly hired director of technology and innovation, got a call from Frank Kruth, a middle school science teacher. Kruth ran an after-school STEAM club for girls, and the rain had dashed their hopes of launching rockets. He needed a plan B. So he asked Owens if she could swing by and teach the girls Scratch, a “block-based” computer programming language in which students program computers by stacking color-coded digital blocks of plain English commands rather than keying in the precise syntax of a text-based coding language such as Java. “I went in, and the girls were so enamored with coding that they asked me back the next week,” Owens recalled. The girls quickly moved well beyond the tutorials and started experimenting and coding little animations related to topics they were studying in school. The STEAM club success gave Owens and like-minded teachers such as Kruth, who is now the middle school STEAM coordinator, a model they would use to remake the entire district over the next five years. They started incubating coding, robotics and other computational project classes in after-school programs and summer clubs. Then they would show off the students’ projects and enthusiasm to teachers, who would soon ask for help incorporating the technology into their classes. Related: Should computer-assisted teaching expand its reach to more states? Classroom teachers take kids through Unger’s lab for one period, three days in a row, followed by six days off. To make a little extra room in the schedule, on lab days the teachers also dispense with the morning “seat time” of class announcements and discussion. And the STEAM projects mingle with their regular lesson plans. For instance, one class of second-graders recently learned how to use simple circuits to make a game in which the correct answer to a double-digit math problem would light up a little bulb. In elementary school, students learn the foundations of computational thinking, such as collaborative problem-solving and trial and error. For example, Unger made sure the kids tested every circuit they made for their math game before moving on to the next one. If one didn’t work, they needed to figure out why and fix it. That required persistence and good communication with fellow students, two of the “habits of mind” prominently displayed and reinforced in South Fayette classrooms as critical supports for successful computational problem-solving. It’s not just South Fayette’s students who must master this type of self-directed, collaborative, project-based learning. Classroom teachers admit that it took some time to adjust to the new focus. Three new 3-D printers hummed quietly in Anthony Mannarino’s seventh-grade technology education class. A large display window allowed passersby in the hallway to watch the printer platforms pivot and gyrate as various student projects gradually took shape in orange plastic. Students have created everything from model planes to gears to more ergonomic handles for pots and pans, all designed on the computer and printed out here. An after-school club of middle school girls assembled and programmed these printers with grant-purchased kits from the Ohio-based education technology company INVENTORCloud. According to Owens, a couple of girls from that group let slip that they couldn’t wait for a printer malfunction so they could show off their technical chops and fix it. Middle school in South Fayette starts the transition to specific technology skill courses, such as mobile app development. Also, a STEAM coordinator works with subject teachers to weave the technologies into their lesson plans. Students have made apps to help learn foreign languages. They have parlayed a science lesson on energy into the building of tiny, electrified, energy-efficient houses. They’ve used Scratch to animate their writings from English class and mixed music lessons with coding to build digital bands. In Mannarino’s classroom, the 3-D printer hum was soon drowned out by the excited chatter of kids taking their seats at computer workstations. “Ok guys, let’s settle down! Now, go ahead and open up App Inventor,” Mannarino called out, referring to another block-based coding language, developed at MIT for making mobile apps. The class was finishing a tutorial begun the day before: how to build a simple app in which a button with a cat picture meowed when tapped. “I want to go over a few little things that I saw some people were having trouble with,” Mannarino said. He walked them through the steps for adding and subtracting components, such as sounds and buttons, and for changing the properties of those components. Within minutes, a chorus of meows filled the room. The students’ next app project was a “magic 8 ball” that generated answers to questions when somebody shook the phone. The app used a sensor hardwired into smartphones called an accelerometer, which detects physical movement. It’s what triggers the display to shift from vertical to horizontal when a phone flips. 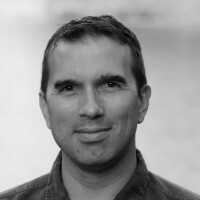 After some initial instructions, Mannarino stepped away from his computer monitor’s projection at the front of the room, and his students set to work on the app. “In every class, I have a few students who go above and beyond, and go home to teach themselves and create their own apps that they bring into to show me,” Mannarino said. He showed off a few student-created games on his tablet — one with a Pong-like bouncing ball and another in which a basket caught falling apples while avoiding falling bombs. South Fayette teachers and administrators recruit such self-motivated students for more practical challenges in after-school and summer workshops. For instance, last year, Owen asked Parv Shrivastava, who was then in seventh grade and had taught himself Java and C++, to help a team of high school coders. The team was making an app that could use radio-frequency tags to keep track of students getting on or off school buses. This year, an after-school group is working on an app linked to moisture sensors in the school’s outdoor “Discovery Garden” that will send alerts when the plants need water. In Mannarino’s next class, students used a Scratch-like code to program robots for a simulated search-and-rescue mission. The kids had three classes to get their robot through the floor plan of a building where the first room had a “fire” that the robot had to extinguish; the next room was cluttered with debris that the robot had to navigate; the third room had to be searched and signaled “all clear,” and the fourth room had a box of “explosives” that the robot needed to pick up and carry to a safe area. “In the first class, I told them to break it down into four smaller codes, because if they try to program everything at once, there’s just going to be a ton of issues,” Mannarino explained. Admittedly, South Fayette is a relatively affluent district. Only about 12 percent of its students are eligible for free or reduced-price lunch, according to district administrators, compared to the state average of 40 percent, and it has a higher median household income than 85 percent of Pennsylvania districts, according to the most recent Census data. Computing devices and broadband Internet are abundant both inside and outside of school. Still, the district’s leaders insist that their model isn’t just for wealthy schools. 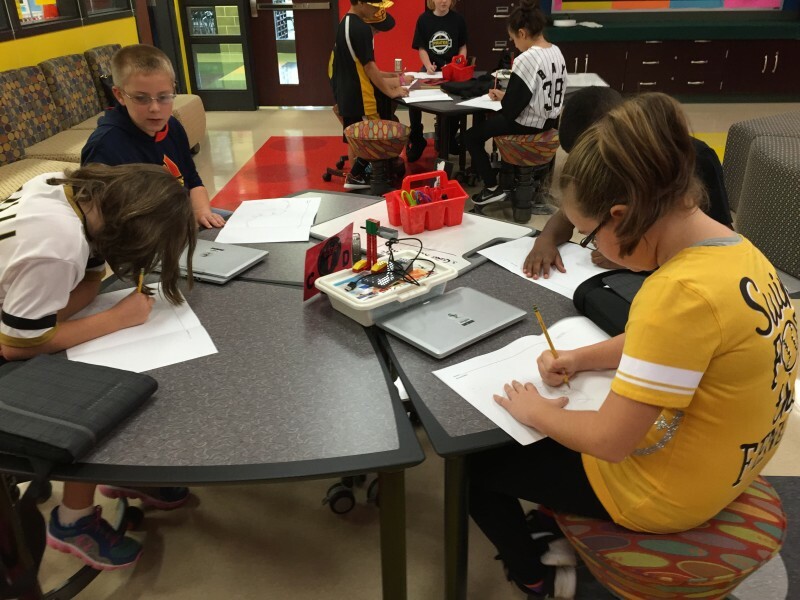 Since 2013, South Fayette has partnered on grants with less-advantaged districts to help their schools upgrade devices and jumpstart their own STEAM labs and after-school technology pilots. The districts include the inner city Manchester Academic Charter School in Pittsburgh and nearby Fort Cherry, where farms still dominate the landscape. 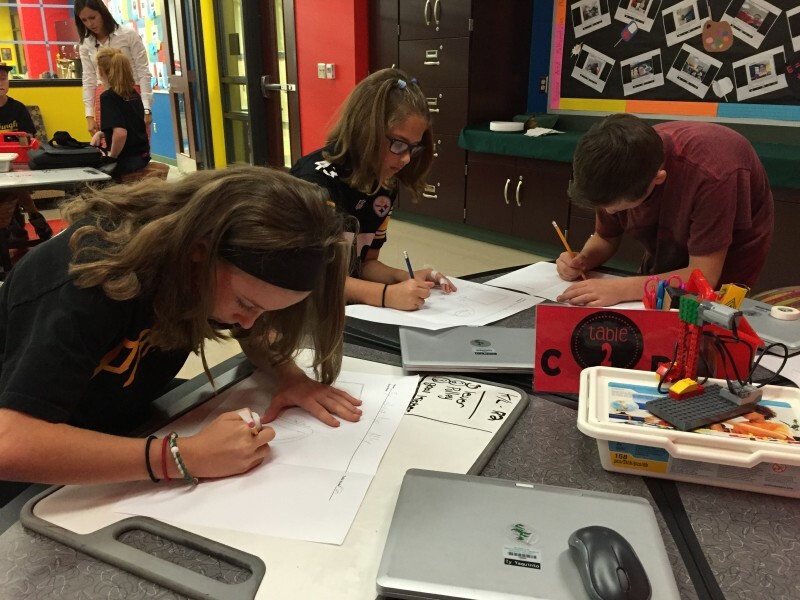 South Fayette has hosted students from these neighboring schools for coding and robotics workshops, and its STEAM coordinators have given the schools classroom support and professional development. Back in South Fayette, they aren’t finished building. Plans for a major expansion of the high school include a “fab lab” filled with 3-D printers and other computer-guided fabrication machinery. Technology integration in the high school is similar to the middle school, but more advanced and more elective — students can take courses in technology entrepreneurship and human-centered design, as well as the usual Advanced Placement programming classes. Several of South Fayette’s high school students have printed up business cards declaring themselves “computational thinking consultants,” and they have competed and won a number of statewide and national STEM innovation challenges. Last April, for example, a team of South Fayette high school coders presented their customizable flashcard application called MyEduDecks at an education technology workshop hosted by Microsoft in Seattle. Another South Fayette team won an award for engineering a new geriatric walker that deploys an extra stabilizer when helping someone get up from a chair and sounds an alarm when the walker is tipped beyond its center of gravity, among other features. Related: Meet three schools that will use technology to personalize learning. What will they learn? Asked if there are aspects of education in which computational thinking is extraneous, or if a school might risk losing something by focusing too much on computational learning, South Fayette superintendent Bille Rondinelli demurred. When pressed, a few high school students admitted to one or two classes in which technology or a computational project didn’t seem to add much value. But the dominant sentiment from interviews with these students was that they wished they’d gotten in on the ground floor of the district’s computational overhaul. Indeed, the real value of South Fayette’s initiative will only be evident when today’s first-graders are high school seniors, said Brian Garlick, the high school industrial technology teacher. Last summer, Garlick agreed to lead a 3-D printing workshop for a group of fourth- through seventh-graders. Do custom-fit lessons help students succeed?